I am so excited that y’all are as rainbow crazy as I am & when I shared my cute new rainbow nail art. 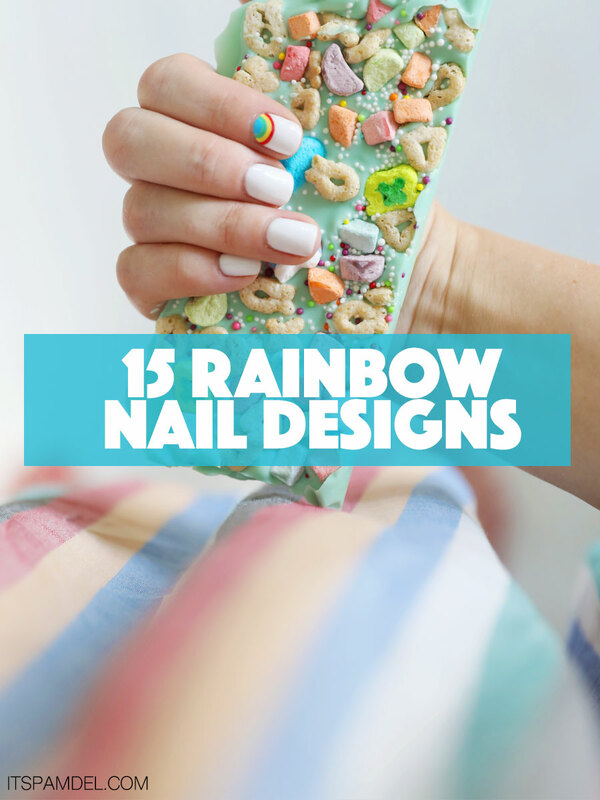 So I’ve rounded up some favorite nail art inspiration to share with y’all & hopefully next time you are at the nail salon you can get your rainbow on! Psssttt & Houston peeps, I get my nails done at Fizz Nail Lounge in Houston! What a great roundup! I always feel like I should do a grown up color like light pink, but my heart wants rainbows! Thanks for the inspiration!